Who doesn't like simply delicious raw recipes? This recipe takes less than five minutes to make, so let's get started! 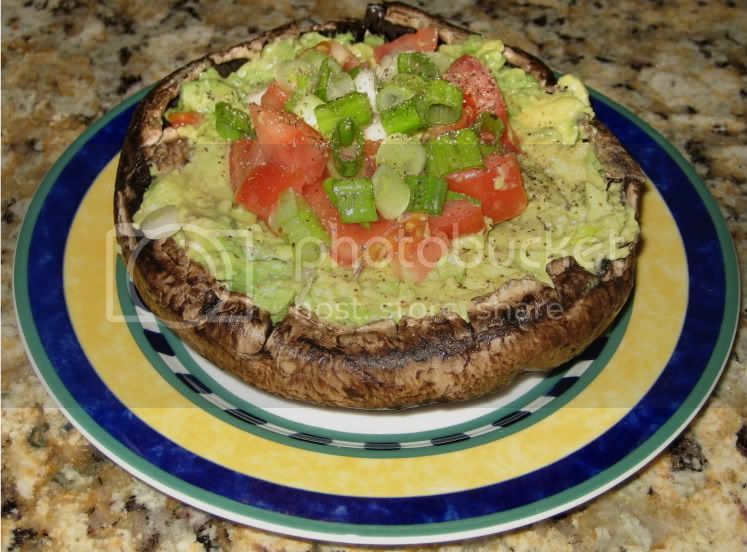 I'm going to make this stuffed mushroom caps recipe REAL simple: make guacamole and stuff into mushroom caps. Done! So easy! When I make guacamole I like to use lots of lime, lots of cilantro, tomato, onion, and black pepper. Maybe throw in some hot sauce or jalapeños if you like it spicy. You can also use salt or Nama Shoyu (soy sauce) to help bring out the flavor. If you want to make this dish even simpler, just use less ingredients in the guacamole. Enjoy!